Arlene had always been an independent career woman, working her entire life to support herself and – later on – her elderly mother. She never would have expected to need the kindness of others to keep her from losing her one-bedroom apartment in Marpole. She quit a stable job in marketing and sales in her mid-fifties, sensing there was an opportunity to help small business firms, who were struggling after the 2008 financial crisis, to get back on their feet. But, one bounced cheque after another, and clients folding shop, she was left holding the proverbial bag. She began living off savings and had drained most of her RRSP, and at 58 found herself on income assistance, which didn’t cover the rent let alone pay for food. Fortunately, she had just completed a government job training program to help older workers re-enter the workforce. However, shortly after completing the program, she found herself sick and in the hospital – from what doctors believed to be a bad reaction to penicillin. She spent four months in and out of hospital, and lost more than 40 pounds, weighing 87 pounds at her lowest point. She feared losing her home upon release from hospital. “Before I went into the hospital, the property manager was at my door every day asking for the rent. I didn’t know what I was going to do. I had nightmares of my furniture being thrown out in the street,” says Arlene. She found out about the Vancouver Rent Bank (VRB) – supported by Streetohome – which provides one-time emergency interest-free loans to individuals and families who are at risk of homelessness due to a temporary financial crisis from the BC Coalition of People with Disabilities. Since the Vancouver Rent Bank was founded in 2012, it has helped to prevent 592 individuals, like Arlene, from becoming homeless. About 50 percent of loans are granted to women; with 14 percent going to those experiencing a family crisis or illness. Approximately, 65 percent of all loans are granted to single individuals. The Vancouver Rent Bank helped Arlene pay her past rent, as well as link her with government programs to access further crisis funding, and with some advocacy on the part of the Rent Bank, she finally received her Persons with Disabilities (PWD) pension, after previously being declined twice. 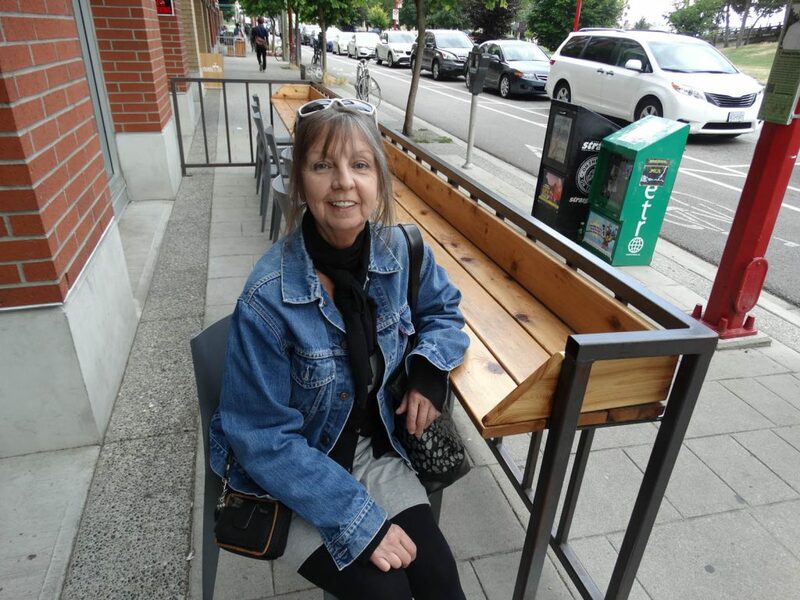 “I don’t know where I’d be without the staff at the Vancouver Rent Bank,” says Arlene.